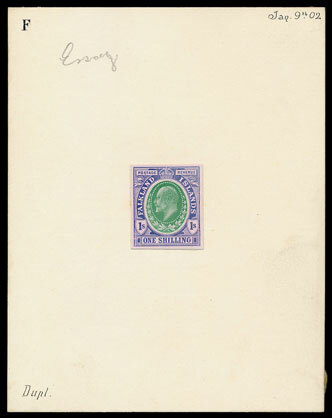 The auction featured a collection of Falkland Is material including early covers, proofs, essays, postal stationery, expedition covers and Falkland Is Dependencies. The collection was offered in around 70 lots and attracted considerable interest. 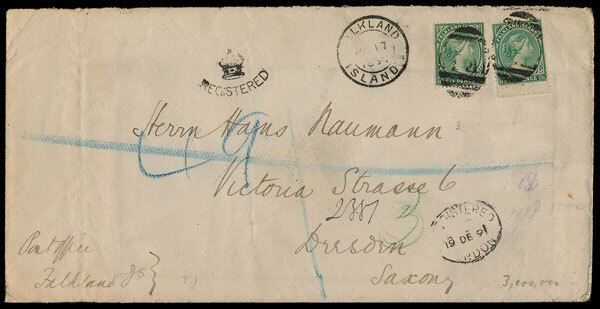 Particularly notable, this 1891 registered cover to Dresden sold for £1170. Amongst the essays this 1904-12 1/- design mounted on a large card sold for £5,160, a similar design for the same issue, in green & claret, sold for the same price. 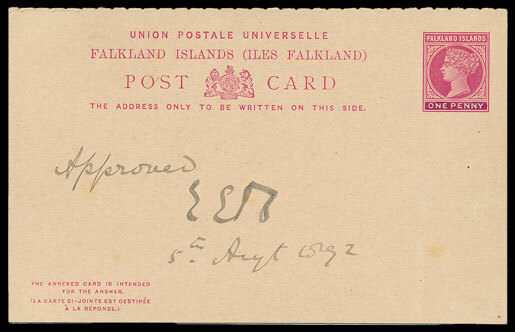 This Postal Stationery design for an 1892 UPU reply card sold for £1,980. 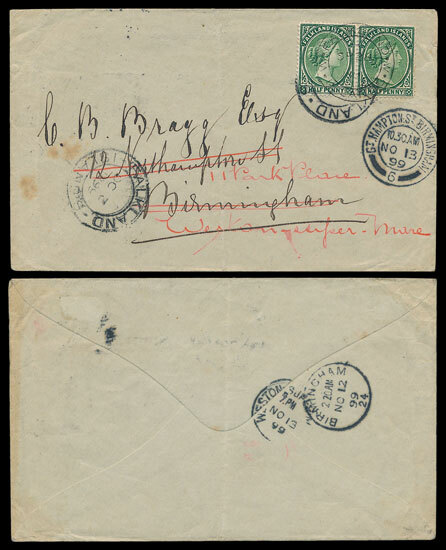 From the Dependencies, an 1899 cover from Fox Bay sold for £4,440. Also in the British Commonwealth section, Australia Kangaroo high values sold well, with a 1915-27 £2 achieving £1,740. 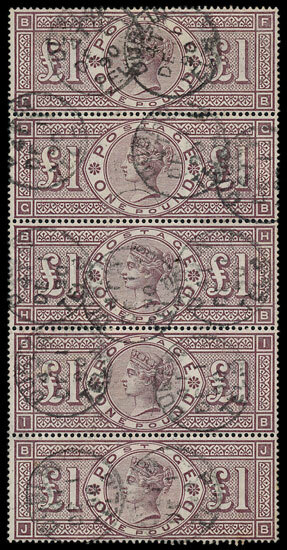 A British Virgin Is 1899 imperforate pair (possibly a colour trial) sold for £324. An India 1854-5 die 2 1a in corner marginal block of 6 sold for £630. The star of the Great Britain section was an 1884 £1 in strip of 5 which sold for £3840, well above the estimate of £1,800. 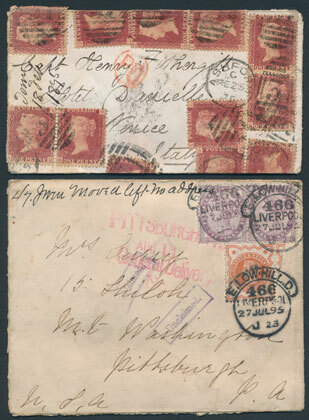 A series of lots of Postal History & Qn Victoria covers attracted considerable interest, with lot 688 surpassing the £250 estimate and selling for £1,380. In the foreign section a China 1961 Table Tennis M/S sold for £504. 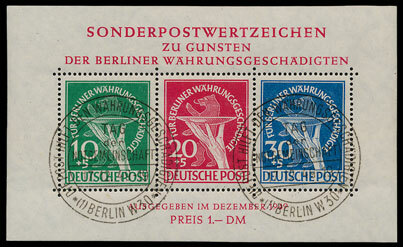 A Berlin 1949 Relief Fund M/S with superb cds cancels sold for £396. 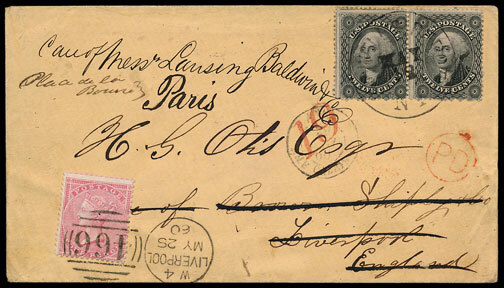 Some very attractive USA covers were on offer, with a 1851 cover to England & redirected to Paris with additional postage added, selling for £324. 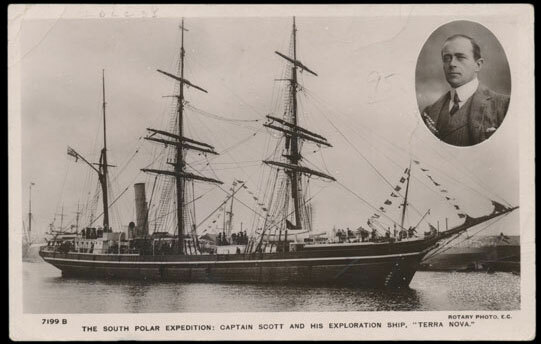 A written-up coln of picture postcards illustrating the Scott ‘Terra Nova’ expedition to the Antarctic sold for £840. You can read more about the collection here. 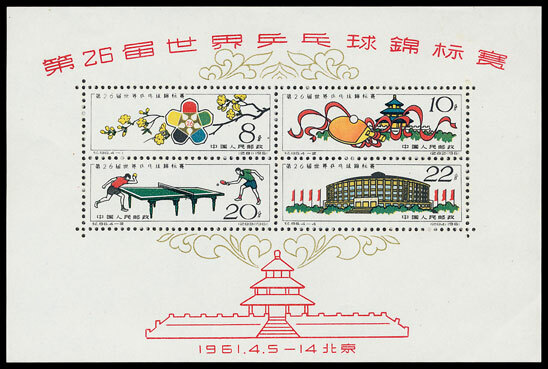 Our next stamp auction will be held on Wednesday 4th of April. To view the full catalogue for this sale and details of how to place your bids please see our website where you can also read the latest news stories and updates, and join us on Twitter & Facebook. Are you thinking of selling your entire stamp collection or part of it? Would you like us to value your stamps and give you advice on how best to market them? Visit our stamp department page for more information.